Vitra stands for timeless high-end design and most people know the classics of their furniture collection. The Swiss-based company is one of the most innovative of the furniture industry and has been promoting quality workspaces for years. 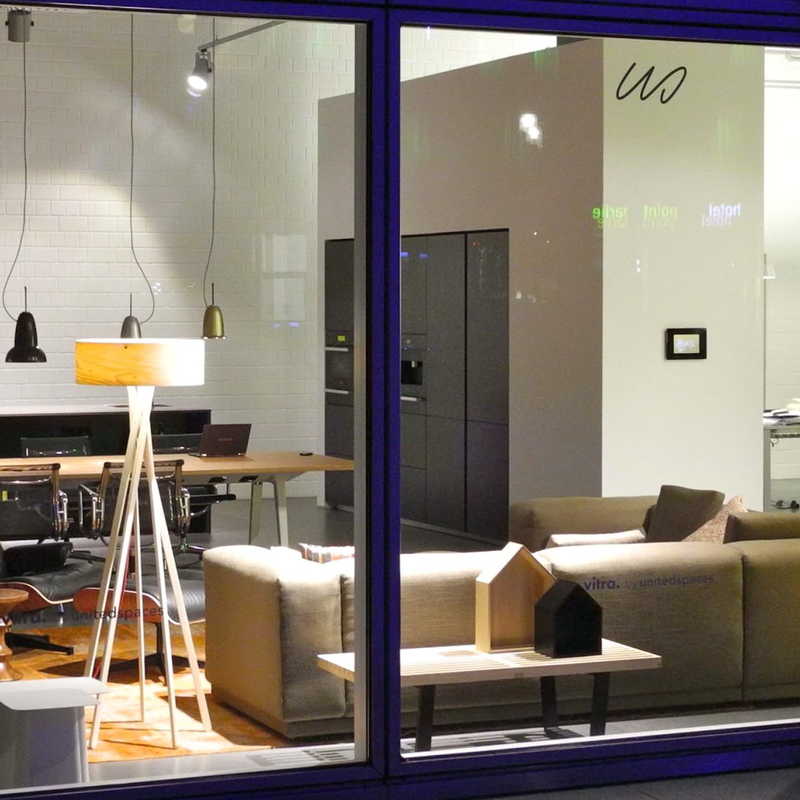 Two guys from Berlin, Tobias Großmann und Gert Schmidt, shared the same thoughts about workspace and opened their showroom unitedspaces in Berlin Mitte beginning of October 2012. Their showroom is a pleasant fusion of sales floor and meeting point. Close to Friedrichstraße, they created a quiet space which inspires and invites to stay for a while. Here, they present various pieces of the Vitra collection, as well as Dada kitchens exclusively for Berlin. Around the kitchen block of the Italian manufacturer, cozy evenings take place where you can cook and discuss whatever interests you. A great example of work-life balance, that fits perfectly into our Zeitgeist.